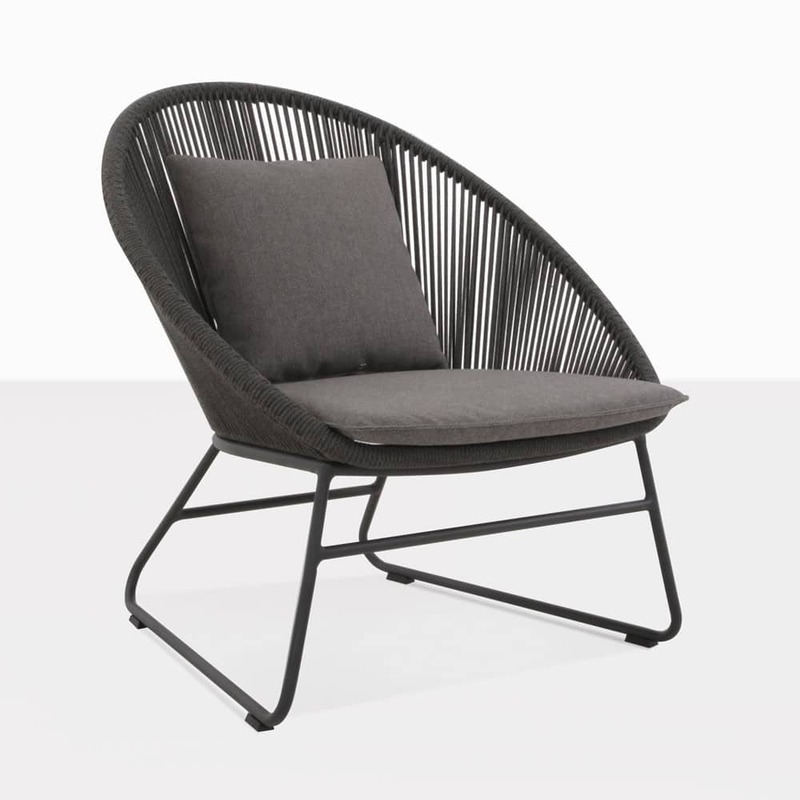 Melt into modern comfort with the superb, unique style of our Toga Rope Aluminium Relaxing Chair. An exceptional collaboration of hardwearing contemporary materials with chic and sophisticated style, the Toga Rope Relaxing Chair encourages ultimate unwinding while enjoying the luxury of a product that is utterly gorgeous. The Toga Aluminium Relaxing Chair takes a leaf out of art deco, vintage furniture books! An elegant, curved back, wide yet low seat and airy base gives the Toga a distinctive, special feel that suits so many styles of homes! Met with incredibly modern materials, such as new outdoor rope and lightweight aluminium, the Toga Relaxing Chair propels your outdoor space into a new dimension of fashion, luxury and relaxation. Perhaps you have a garden area that is craving a spot to curl up with a book, or enjoy a drink at the end of a long week… why not situate two Toga Rope Relaxing Chairs side by side with a chic, cool side table between them (perfect for those cheeky G&Ts or a book or three!) and you have a recipe for easeful unwinding and breath! The Toga Relaxing Chair is made out of extraordinary, state of the art all weather materials – beginning with the lightweight powder coated aluminium frame in sleek charcoal – an attractive product that weathers brilliantly in the great outdoors with little maintenance! Wrapped around this strong, robust frame is weather proofed and UV treated rope, which alongside looking spectacular is hardwearing and oh so comfortable to sink into! And as a final flourish, the cushion – made up of Sunbrella® fabric and QuickDry® foam – comes free with purchase! An amazing range of products in an amazing chair. Our Toga Style also boasts a dining chair as well, so you can make a stunning, cohesive look in your open air living arrangement! Call us now to begin the stunning transformation of your space!